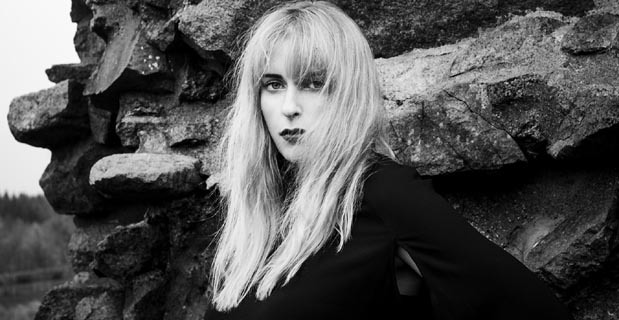 More than a decade since her debut as a solo musician, on Monday, March 8th 2018, Norwegian songwriter Susanne Sundfør will perform in Italy for the first time, at La Salumeria della Musica in Milan, to promote her latest album "Music For People In Trouble" (Bella Union, 2017). We took the chance to have a chat with her and evaluate the state of her art, which recently got back to an evocative chamber intimism. MP: First of all, let us just say that we are very happy and honored to talk with you and to finally have you here in Italy. It feels like it took way too much time to see you play, but in a way I think your notoriety, too, came a bit later than expected, having been around for more than a decade. Are you satisfied with what you have now, in terms of public and recognition? I agree, I’ve been doing this for ten years and only now I’m coming to Italy. I can’t wait! MP: I think there are two significant changes of perspective in "Music For People In Trouble": the boldness and magniloquence of "Ten Love Songs" makes way for intimacy and romance in its true sense (perhaps with a touch of decadentism); but what really comes through is a feeling of betrayal and disillusion, a darker perspective on what 'love' is. Do you agree? What does this record mean to you personally? Most of what I write comes from a personal perspective, but I try and make all the themes universal, something that everyone can relate to. So in a way it’s personal and the complete opposite at the same time if that’s possible. MP: Are we all, one way or the other, in "trouble"? Was it your intention to address anyone who felt like that? I mean if I was a climate change scientist I would probably say yes, but I’m not, so I just base it on what I read about in the newspapers, and lately a lot of it has been about how climate change is threatening civilization. But I didn’t want the album to only be about climate change, I wanted a personal aspect there as well, because I think it’s important to make art that reflects the state of human kind not just politically but emotionally as well. So I guess what I’m trying to say is that being in trouble can both be from a collective perspective and an individual perspective. AB: What’s your view on the use of electronic instruments in songwriting music? In my humble opinion, the grafting of some sounds in your music (i.e. the beautiful “It’s All Gone Tomorrow”) really improved it and made it more diverse and eclectic. In what ways do you blend them with a base for piano or guitar? Thank you! To me it’s more important that instruments, whether they’re electronic or not, create the sound that I’m looking for in order to convey what I want to say. Sometimes my message needs a lot of electronics, sometimes it needs a soft nylon guitar. But the message is my priority. AB: I’ve always had the idea that the album in which you managed to create an actual standard was “The Brothel”, a record including some of the best songs in your repertoire – personally I’m very fond of “Turkish Delight”. What can you tell me about this song, how was it born? Moreover, what are your memories of the time when you composed this album? Was it fundamental for you too in terms of sound and inspiration? It was a really fun album to record, because me and Lars Horntveth, who produced the album, just had a lot of crazy ideas and we just went for it, completely open. I’d also had a couple of years off working with music and was very inspired and ready to make something different. Turkish Delight, I don’t remember to be honest. I made the arrangement on the piano and wrote the lyrics, but production wise Lars did most of the work. AB: Again, I’d like to know how it was to work on that with Lars Horntveth, indeed a great musician and producer from your own country. Lars is very talented and it was a lot of fun to work with him, and I’ve learned a lot from him. AB: Can you give us an insight of the shootings for the “White Foxes” video (from "The Silicone Veil") – one of your most evocative and elaborate ones –? It was very cold and snow kept falling on my bare back, so I got bronchitis afterwards! But it was totally worth, it’s a great video. MP: How was your experience in touring the world so far? I love it! I wish I could do it more! I love visiting new countries and meeting the people there, tasting new food, seeing things that are very different from where I come from. I love travelling, and if I had the opportunity I’d do longer tours to more places. MP: You also seem to have strong opinions about the environment and global politics, although your music appears to remain separate from all that. Do you think that art and everyday life shouldn't influence each other too much? I’m not sure I agree on that, I feel like I’ve made quite a few political songs. But no, I don’t think politics need to be separated from art, art can be whatever it wants to be, but most importantly it should be free. MP: Ritual question: what's in store for the future? You've also had very fruitful collaborations with M83 and Röyksopp: are you seeking new partners in music? Not sure right now, hopefully I’ll get some new ideas soon so I can make new music.